No matter how old you get, the child in you must never die! One must try to keep that one part of his/her childhood intact. 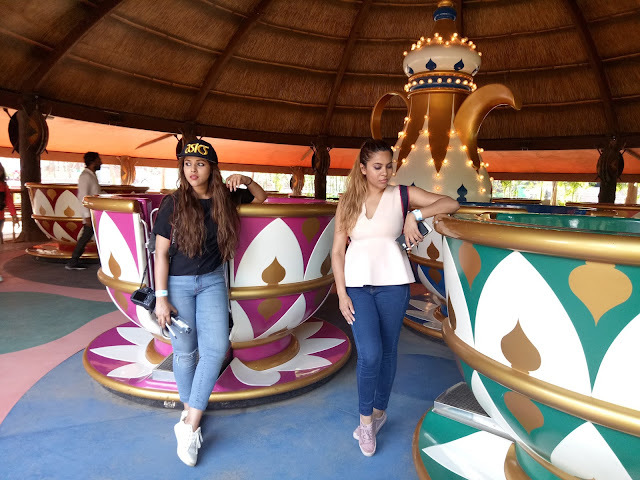 So to relive our childhood we decided to head to Kapoli Imagica snow park and theme park. 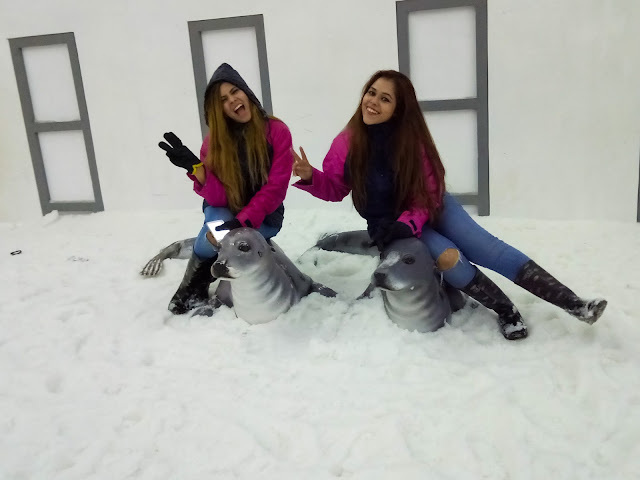 We started the fun by visiting Imagica Snow park. 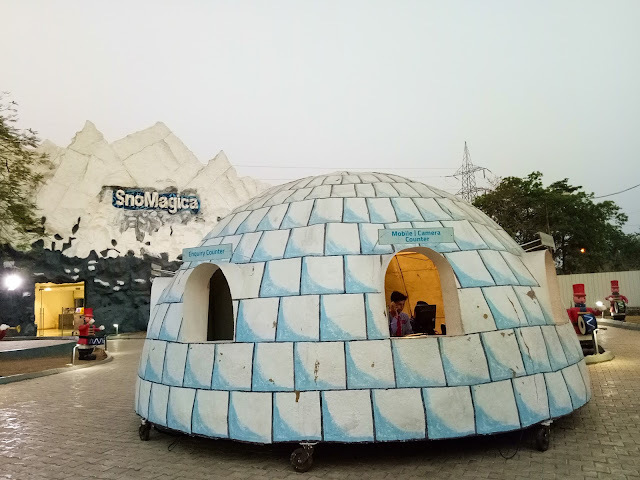 It is world of snow at India’s largest Snow Park. 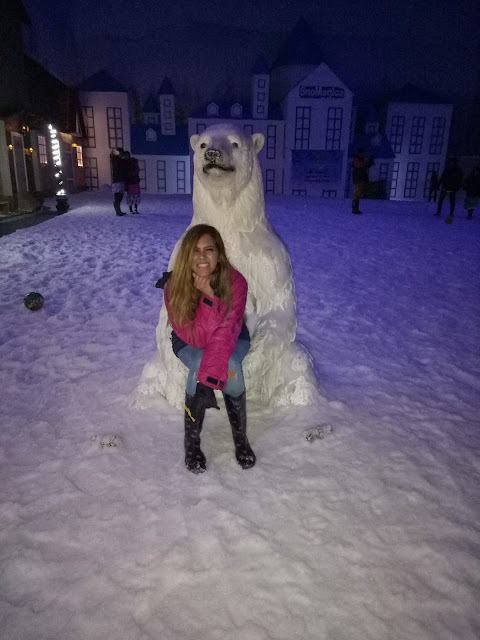 If you don't have the time to go to hills and experience the real snow and snow fall, then Imagica Snow park is the place to be. As were entered, we were provided by well sanitized jackets, gloves and boots. Everything was spick & span and well warm which we ended up appreciating once we went inn and were freezing. 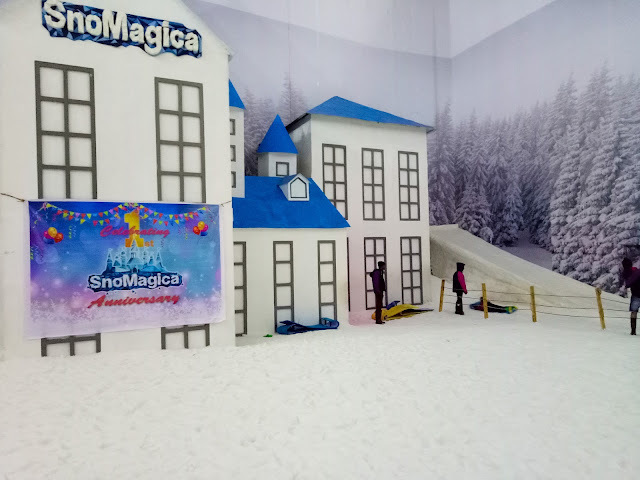 slide down icy slopes in toboggans and rafts, climb the rocky snowy mountains, then Imagica Snow park is the place. In minus 5 degrees cold, one can have a snowball fight or just relax and enjoy the snowfall. 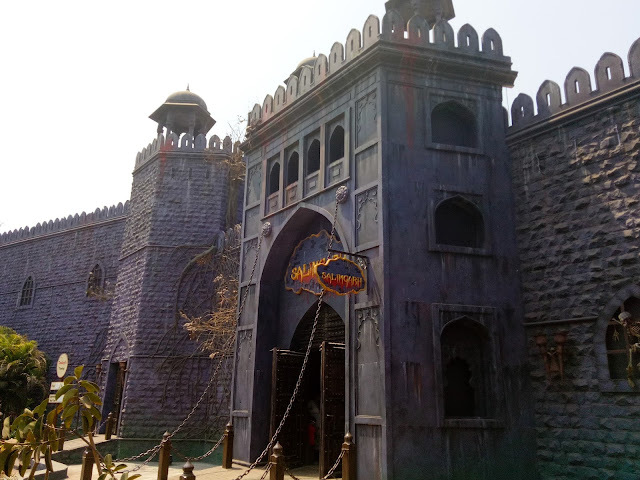 Next day it was time for Theme park.Built on international standards Imagica theme park is located near Mumbai, Pune and Lonavala. The Park offers entertainment, fun, action and relaxation all at one single location. 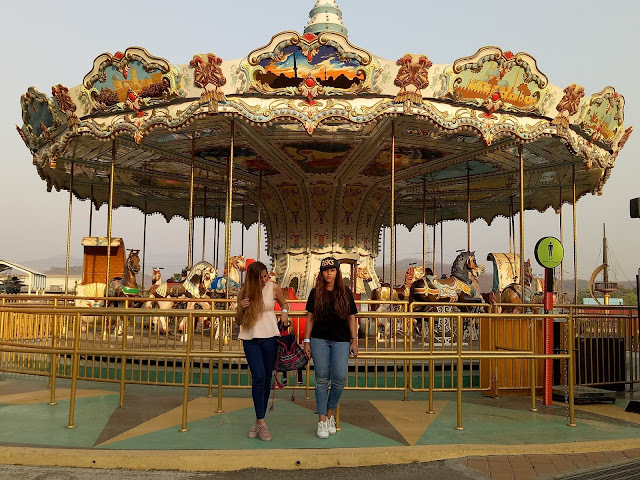 With 25 rides and attractions, and several restaurants and bars to choose from, Imagica Theme Park is the perfect destination for friends and family alike. The theme park will take you back to your childhood as its custom designed to fit the preferences of Indian audience. Be ready to Bump into your lovable characters of Tubbby – The Elephant, Roberto – The Star Chef, The Lost Astronaut, Mogambo of Mr. India fame and The Gingerbread Man as you hop from one ride to another. So we were full of excitement and got all ready with our selfie sticks. 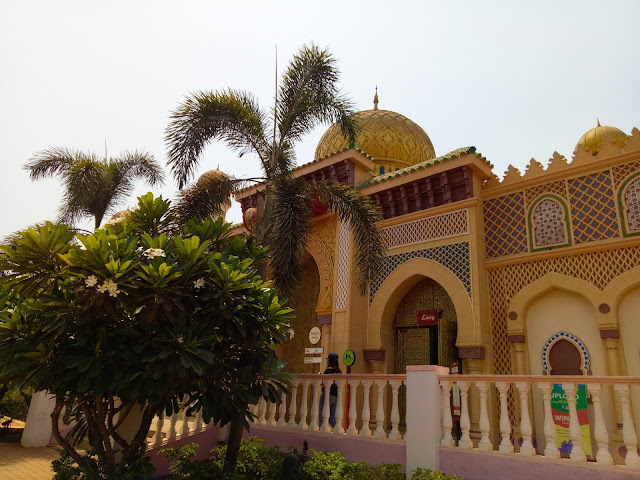 Sadly selfie sticks are not allowed in Imagica but then we are though that we must enjoy the the without worrying about good pictures and videos. 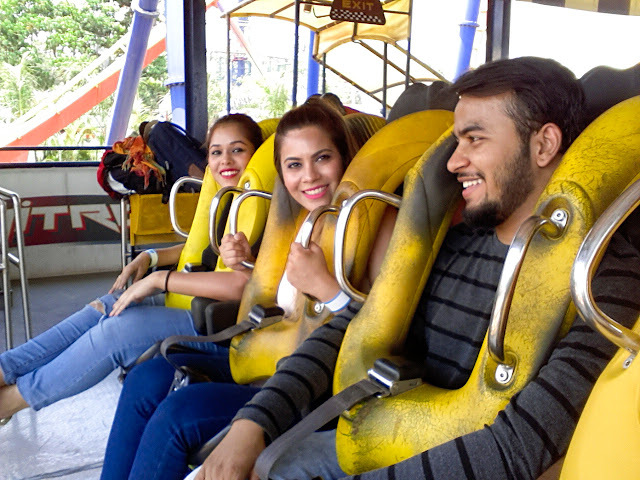 We started with one of the mist thrilling rides, Nitro which is India’s biggest and wildest roller coaster, the Nitro. Standing at a staggering 132-feet high with over 2800 feet of track length, Nitro provides an adrenaline rush during the 150 seconds of pure excitement! It goes through five exciting inversions and loops. 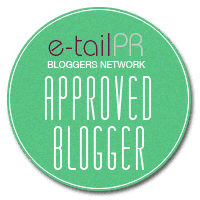 Atop this crazy roller coaster, you’ll find a ‘ground’ for yourself but we bet you’ll lose it soon. 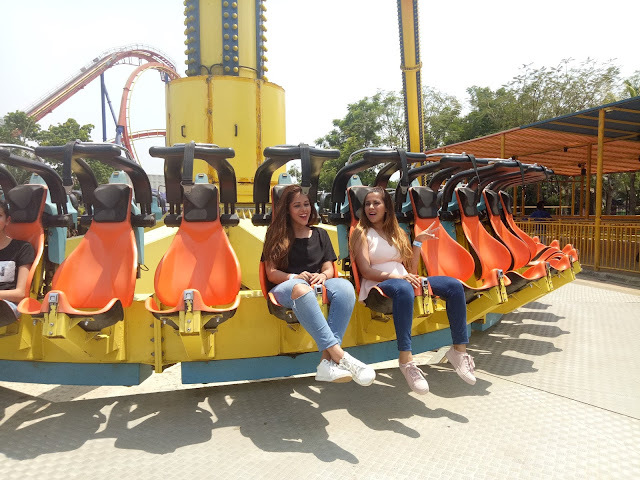 Sip pure exhilaration on the simulated flying chair that spins and rotate, come and experience a free fall in the Nitro. We were totally blown away. Then we headed over to Scream Machine, a ride that will make you go crazy. Rotating Pendulum Ride will accelerate, rotate and swing you high, till the time you literally Scream! 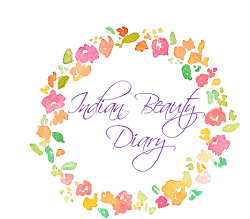 Our next stop was Sultanpur, a scary ride. It was a story of a princess who died for love and then haunted her own palace. The ride took us through that palace where things were pretty creepy. We did a few more indoor rides like Mr. India and I love my India but the one we loved was Deep space. This High adrenaline rollercoaster that takes you into outer space. You will get launched into deep space among galaxies and black holes zipping through various planets and meteors. 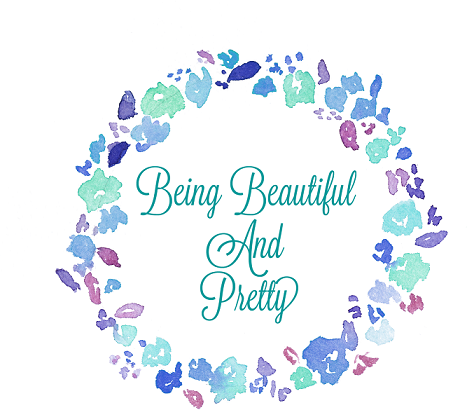 It was out- of- this- world experience! It was like travelling around the galaxies and perhaps anti-gravity pull may take you to a black hole. Enter the amazing galactic world and forget the chain of time with the Deep Space, a Dark Roller Coaster ride. The rides stars with matrix feels and ended with a a bang. Honestly, this was the only ride in which I got a little scared. By this time sun was down again so we went out to enjoy the outdoor rides. While our head was spinning but we were still not ready to stop so we went for Gold Rush Express. This exciting coaster will take you through the world of old American West. From the ravines and the ranch grounds of the cowboys to the parlours and the saloons of the pistol wielding outlaws and sheriffs. 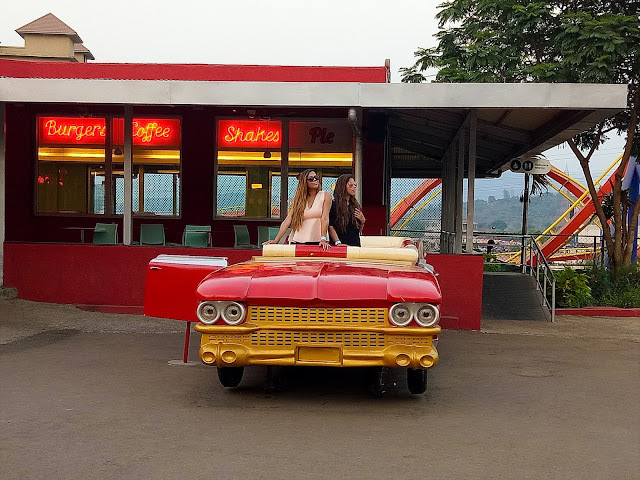 This ripping ride will drop you from the height of 66 feet and send you speeding through tunnels and abandoned gold mines at a thrilling speed of 65 km/h. It literally feels like a trilling experience of wild wild west! We ended our day with a nommy-nommy burger and shake at Red Bonnet American Dinner and posing with the cool car outside was just mandatory.